This collection download features 6 digital edition special issues of Interweave Knits Holiday Gifts, from the premiere issue in 2006 to the super-sized special issue in 2011. Enjoy six digital editions of the popular Interweave Knits Holiday Gifts Special Issues exactly as they were originally printed, including the premier 2006 edition. tables of contents, easy-to-print patterns, and all the tips and techniques that Interweave Knits Holiday Gifts is known for. 200 patterns for holiday knitting, from quick-to-knit accessories to heirloom-quality projects that can be handed down from generation to generation. This collection of magazines has knitting patterns for women, men, children, and the home. From men's knitted sweaters, knitted cardigans, to sweet stockings and knitted home decor, this collection has patterns for every occassion. 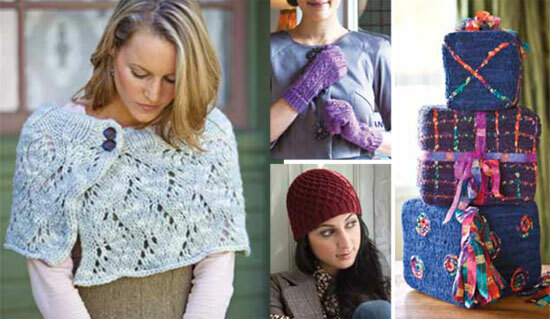 For knitters of all skill levels, with the Interweave Knits Holiday Gifts 2006-2011 Collection you'll find the perfect knitted gift to knit for yourself or others. patterns and knitting techniques that you can turn to again and again. 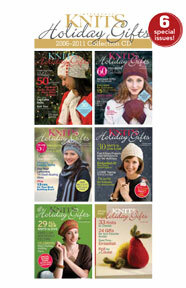 Purchase the Interweave Knits Holiday Gifts 2006-2011 Collection Today!